A small rural school is doing its part to help crack down on students using weed, by printing an ad for local police in the newsletter. Down in New Zealand, a small rural school is doing its part to help crack down on students using weed, by printing an ad for local police. 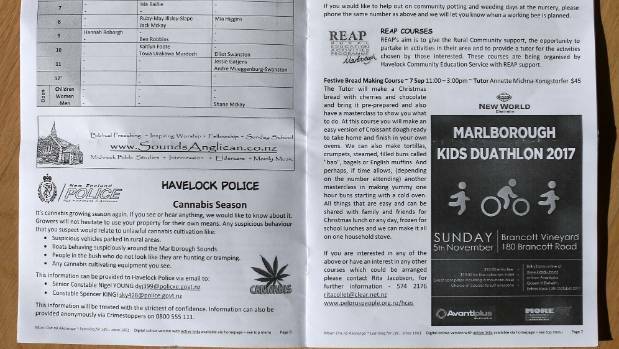 In the latest newsletter sent to parents by a small rural school in New Zealand‘s South Island, an advert from police is seen, printed just below the cross-country results. The ad was published in the newsletter as an appeal for parents and residents of the community to be extra vigilant as cannabis growing season approaches in the Southern Hemisphere. Along with printing the ad, the newsletter also advises people to keep an eye out for “people in the bush who do not look like they are hunting or tramping”. Ernie Buutveld, the Principal of Havelock School, says the newsletter is a great tool to help spread community messages. The community supports the school by advertising and so allows, despite the digital age, over 650 hard copies to be distributed in the wider Havelock area – hence the police using it to spread the word. They have had some success in the past with other work in this fashion. Constable Spencer Kingi, one of the town’s two policemen, says growers will look to hide cannabis crops in rural areas and the public’s help is crucial. The public often acts as the eyes and ears of police. For this reason, we reach out to people in a number of ways; from notices in newsletters, engagement through social and traditional media channels, through to daily contact with individuals in our communities. Police are focused on keeping people safe and reducing harm in our communities, where the supply of illicit drugs has a big impact. Given the area’s rural and often remote locations, it is prime for growers planting and harvesting their crops. New Zealand still has a lot of outdoor cultivation, as some strains used are bred especially for that because the strains are more resistant to humidity and mold. As the warmer weather approaches in the Southern Hemisphere, growers tend to treat the seeds like any other plant, and keep a lookout for sunny spots away from people. 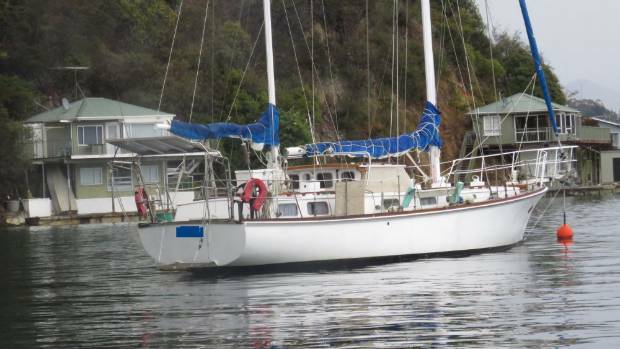 Last year, local police stormed a yacht in Waikawa Bay, which is also in the region, and seized 55 pounds of cannabis – it is one of the biggest cannabis busts of the past decade. The men who were responsible had been harvesting cannabis plots on several remote islands in the area were sent to prison. 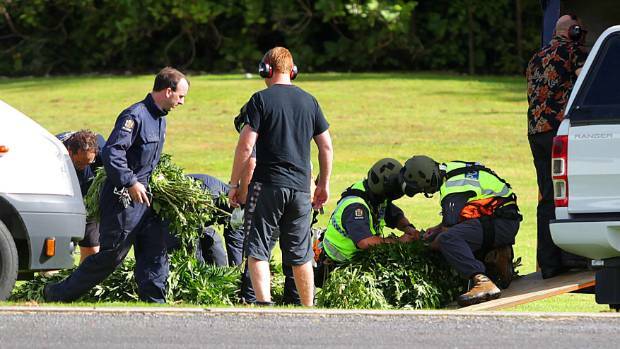 It is reported that about 6000 plants were recovered in the Nelson-Marlborough area of the Tasman police district.